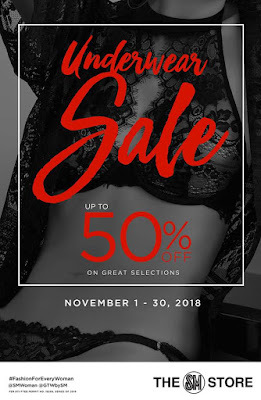 Missed the SM Store 3-day SALE last weekend, and needed to buy an underwear? No worries! Check out The SM Store Underwear SALE happening until November 30, 2018 in all SM Stores nationwide! Get up to 50% off on select underwear brands for men and women!